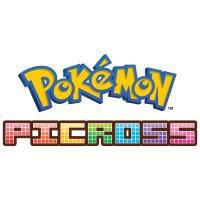 A downloadable Picross game for the 3DS themed on and structured as a Pokémon RPG. Catch Pokémon by solving puzzles to reveal their images and then use their various abilities when fighting more Pokémon solving more puzzles. The standard assist features are available here as Pokémon abilities instead, generally themed by type - for example, water Pokémon tend to have “Blue Force”, which is the ? Navigation effect. There are hundreds of puzzles in standard and Mega Picross variations, and two Micross puzzles are available as well. As a free-to-start title, consider this a Picross demo. It limits your play via energy mechanics that you can microtransact out of and which go away completely once you’ve spent $30 (I’m told). There are plenty of other Picross games on 3DS that are significantly cheaper. So, try this one to find out if you like Picross, and if you do, check out Mario's Picross or the PICROSS e series (or the Twilight Princess one if you’ve got the coins on My Nintendo). This one does have you collecting Pokémon, which is kind of cool, but if you want to play Pokémon then you can just play Pokémon. In this game, the Pokémon are mostly just a way to cheapen the core puzzle gameplay - after all, the abilities that aren’t optional assist features in other Picross games are just shortcuts to solve part of the puzzle for you. If you don’t want to solve the puzzle yourself, why play Picross? I Stopped Playing When: After playing for a couple of days, I was confident I enjoyed Picross and picked up Mario's Picross instead.